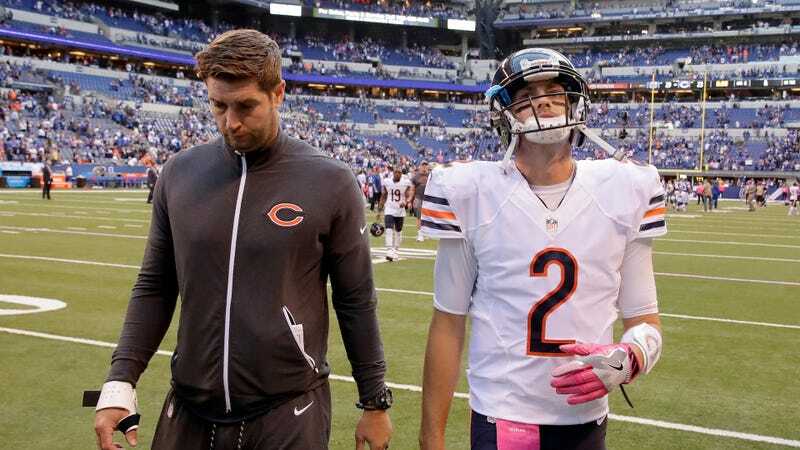 The Chicago Bears have the following quarterbacks on their roster: Brian Hoyer, Matt Barkley, and Jay Cutler. Two of those dudes are bad. The other has an injured thumb and the disposition of a disgruntled tabby cat. Not the most enviable position to be in, but let’s see how john Fox plans to figure it out. At least they have the Jags next week.